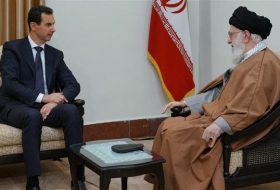 TEHRAN — Waiting for the final day of the Syrian war is just like waiting for Godot. Nothing happening any time soon — this is what most of the fighters on the ground say. Who can put an end to the war in Syria? Is it the Russians, the Americans, the Arabs or Iran? In Iran, the same question is being asked. Here, most agree that Gulf Countries and the US can stop the war by cutting the support they are sending to the rebels. This is what you hear from people in the streets and from any official. There are, however, some who see the whole landscape from a different angle. 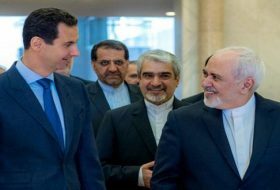 They believe that Syrian President Bashar al-Assad committed serious mistakes, and that Iran should have kept silent until the whole war folds. 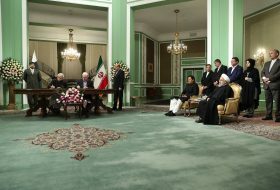 It appears that few are in this camp, however, and that no Iranian officials hold this view, judging from their reactions when they are asked about it. Now that the administration of outgoing President Mahmoud Ahmadinejad is packing to leave, a new president is expected on Pasteur Avenue, Iran’s presidential residence. 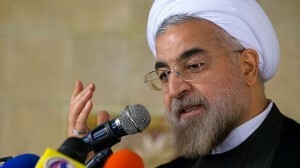 President-elect Hassan Rouhani made it clear from the beginning that he’ll adopt a moderate policy internally and externally. 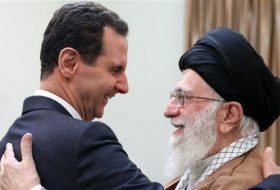 Al-Monitor has learned from reliable Iranian sources that Rouhani is preparing a paper on Syria that includes a roadmap for a comprehensive solution where both the regime and opposition can take part in a transitional period. 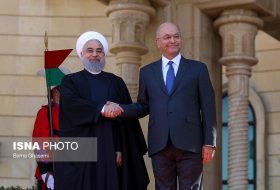 According to Sadegh Zibakalam, an Iranian intellectual and one of Rouhani’s advisers, the president is compiling a file on Syria that includes an initiative to solve its crisis. 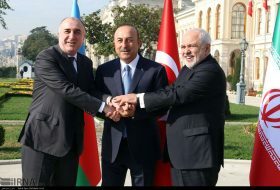 “He is trying come out with a moderate solution, where both the regime and the opposition take part in a cease-fire and go to the round table,” said Zibakalam, adding that the main task will be forming a national unity government with full power. 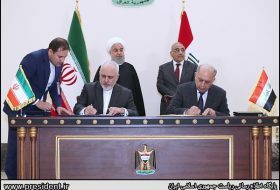 “The president will try to involve both the Organization of the Islamic Conference and the Arab League to help get the best possible results and rid Syria of the daily bloodshed,” he said. 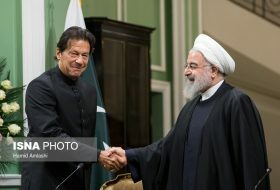 Rouhani’s plan to restore good relations with neighboring Arab countries along the Persian Gulf might produce better chances for a solution in Syria. A source in Tehran suggested, “The change in Qatar might help in bridging the initiative and convincing part of the armed revolution to go to the negotiation table.” The picture might seem ideal, but solutions can’t be reached by assumptions. There should be a peace partner in reality, because it takes two to tango.